Honda have announced that they will be making a "comprehensive range of upgrades" to their CBR500R for 2016. 2013's CBR500R was designed to maximise the new 47bhp regs while at the same time being both attractive and affordable. Top speed is limited to 112mph – more than enough for the road – but there’s fun to be had in getting up to speed and the CBR's handling exceeds expectations. It's an engaging, fun, and satisfying bike. - A complete new look based on a design theme of 'Aggressive Speed Shape', whatever the hell that means. Sharp and edgy character lines flow from its new front face - featuring steeply-angled dual LED lights – through to the upswept tail equipped with LED lighting. - Larger fuel tank with new hinged fuel cap (the old one just came off in your hand). - A new shorter exhaust muffler for enhanced mass centralisation, with internal structure tuned for a satisfying low, crisp exhaust note. - A range of dynamic new colour schemes. Honda say: "With this series of upgrades, the new CBR500R is designed to offer the maximum sporty performance, style and presence from a genuine A2 licence-compliant motorcycle." 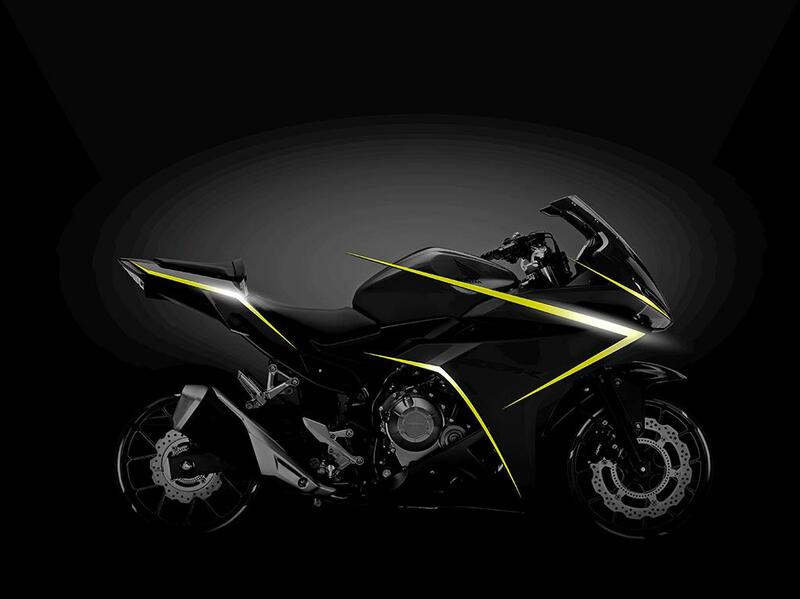 The new CBR500R will be unveiled in full on October 15.